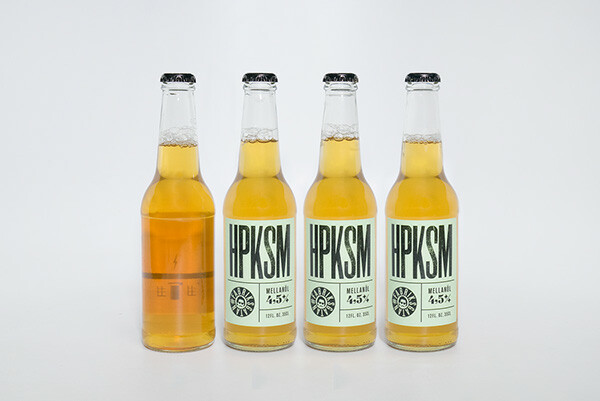 Logotype and packaging for HPKSM, short for Helmersson, Pettersson, Karlsson, Sjönvall och Möller, a psychedelic bluesband from Gothenburg Sweden. 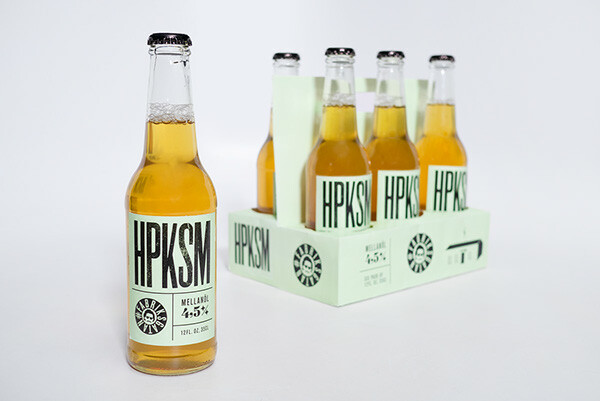 This beer is a celebration for their upcoming rehearsal space/studio/freelance office, called Fabriksgatan (=Factory Street) after the street the house is on. 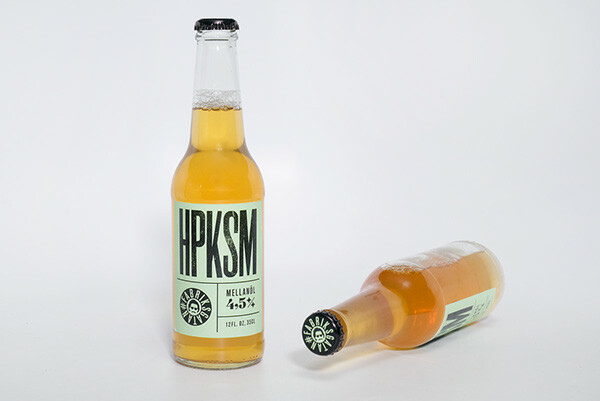 The sixpack is designed to cover as little as possible of the label. 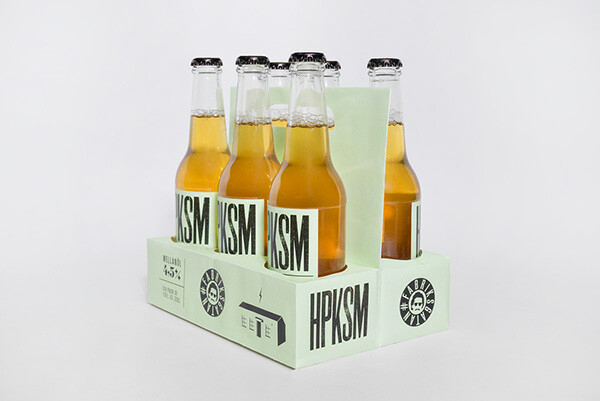 But when it's covered, the front of the carrypack shows the same things as it covers. 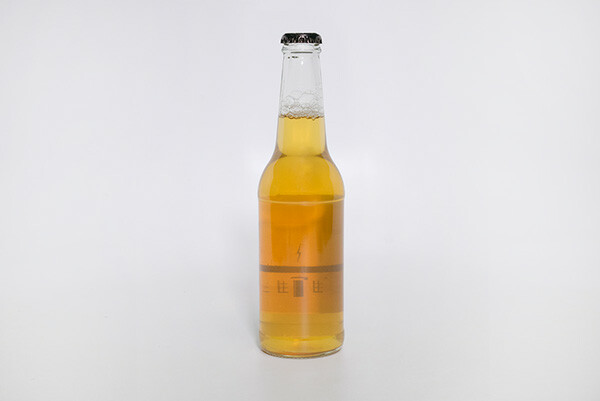 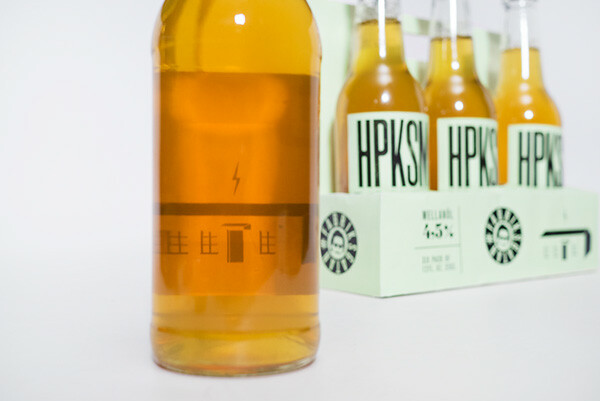 The back of the label, shown thru the bottle, has an illustration of the Fabriksgatan-house. 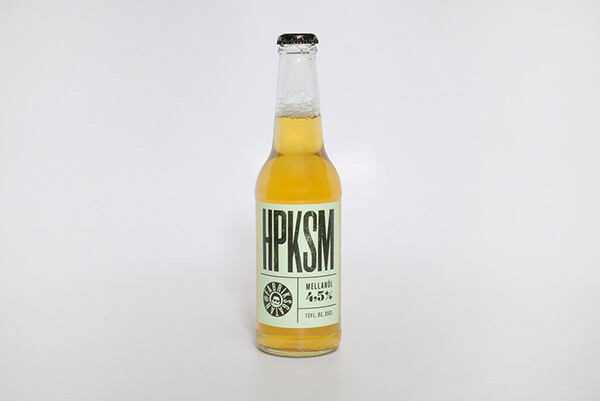 "An extremely tasty beer with the just perfect amount of hops, pleasently balanced, where the taste buds is constantly challanged by pleasingly unexpected surprices. 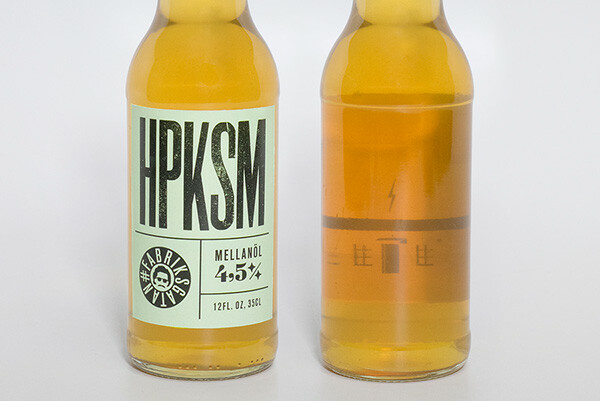 The HPKSM beer is a mix of five peoples different life- and taste experiences, a beer that whimpers "helmerssonpetterssonkarlssonsjonvallochmoller" on its way down the longing throat"
Logotype and packaging for the band HPKSM and their beer Fabriksgatan, named after the street their new rehearsal space is on, that the beer is a celebration for. 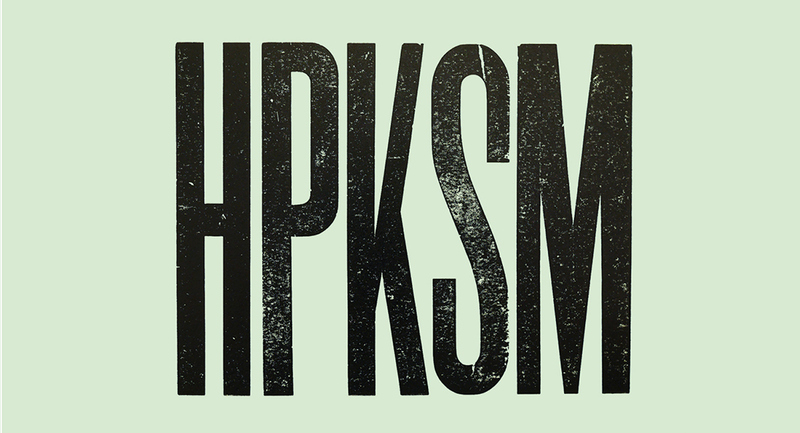 This project was partly a School of Visual Arts project given by Louise Fili.